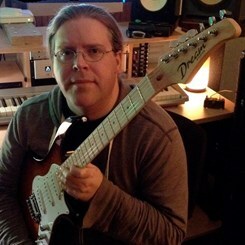 Jonathan is a songwriter, producer, composer, and a guitarist versed in many styles of music. He has studied guitar from a young age, learning other instruments and skills along the way. Jonathan studied at Musicians Institute, UCLA Extension and at Berklee Online which broadened his knowledge of both music and the music business. He is also a guest lecturer on composing, producing and the music business, and has lectured at several schools, including Temple University. While at Musician's Institute Jonathan studied with Ron Escheté, Dan Gilbert, Jamie Findlay, Carl Schroeder, Steve Dudas, Tom Warrington and many more. Jonathan also took private lessons with Ted Greene, Pat Martino and Charlie Banacos. Jonathan has also recorded and worked with notable musicians such as Dino Cazares, Chris Poland and Chuck Flores. Request Lessons with Jonathan today!